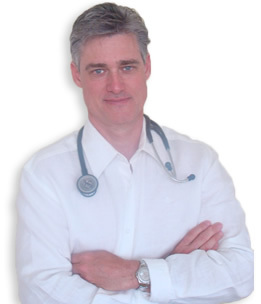 Dr. Gardner was born in Marin General Hospital on March 8, 1959. He is the sixth of seven children born to a Mennonite German homemaker, Naomi Heinrichs, and an English-born seminarian, Thomas F. Gardner. His father was a night fighter pilot (P-61) in WWII and built public schools as a general contractor until going to Medical School at Washington University in St. Louis. Affected by an inner ear disorder, he cut his medical career short and decided to pursue a degree in theology. He worked at a variety of jobs in Marin County, including the night janitor at Drake High School and chemist for the Marin County Water District, to put himself through San Francisco Theological Seminary in San Anselmo. Dr. Gardner’s earliest memories are being held in his mother’s arms in front of their home at 44 Butterfield Road, watching the people get off and on the busses that stopped at the corner. The family moved to Santa Cruz County, where the Reverend T.F. Gardner served as minister of the First Presbyterian Church of Santa Cruz until 1968, when his wife Naomi died of sarcoma at the age of 44. The family moved to Fresno briefly to be near friends and the extended family, and then back to Santa Cruz County in 1970 where Dr. Gardner completed 6th through 12th grades at San Lorenzo Valley High School. After graduating as Valedictorian of his class and being voted “most likely to succeed” by his classmates, Dr. Gardner entered Stanford University in 1977. A bassoonist and trombonist, Dr. Gardner played in the Stanford Marching Band (LSJUMB) and the Stanford Symphony along with his sister, Gayle, who played French Horn and Flugelhorn. During his five years at Stanford, he also played on occasion with ensemble groups from the San Jose Symphony and the San Francisco Symphony Orchestras. Dr. Gardner also played bassoon and studied language and culture in Berlin, Vienna, Florence, and London. In Vienna he was welcomed by the many Stanford faculty and staff who had known his sister Naomi, as she had studied at the same program two years before while still an undergraduate at Mills College in Oakland. Naomi is now an attorney in Brooklyn, New York. He graduated from Stanford in1982 with a B.S. in Biological Sciences and a B.A. in German Studies, as well as the Certificate in General Translation in German. Dr. Gardner breathed a huge sigh of relief when he received an acceptance letter from Northwestern Medical School in Chicago, realizing he would someday realize his hope of becoming a physician. But, after much deliberation, he chose UCLA School of Medicine, where his sister, Kathryn Gardner, MD, is a professor of ophthalmology at the Jules Stein Eye Institute. After graduation, he chose a residency program in internal medicine at Children’s Hospital of San Francisco, now California-Pacific Medical Center. He then moved back to Los Angeles to accept a position as Research Fellow at UCLA School of Dermatology. While a student at UCLA School of Medicine and as a Research Fellow, Dr. Gardner learned techniques of dermatologic surgery from Dr. Richard Bennett and Dr. Ronald Moy, both nationally known for their pioneering work in Mohs cancer surgery and cosmetic procedures such as liposuction and hair transplantation. For the next five years, Dr. Gardner accepted the position of Assistant Medical Director of Western Medical Group, a three clinic, 31,000 patient General Family Medicine Center in the Antelope Valley, acting as chairman of the Quality Assurance and Patient Care Committees. While trying to juggle HMO and private practice simultaneously, he became disillusioned by the managed care system, which he felt was detrimental to the doctor-patient relationship. The insurance companies had set up a system where I was no longer expected to be an advocate for my patients, but was to think of my role of ‘gatekeeper’ first. The main function of this role was to save the insurance company money by limiting and denying services to my patients. This went against everything I had learned in medical school. Dr. Gardner resigned as Medical Director in July of 1991, and began private practice in his home county of Marin in August of 1991 with Mill Valley Medical Group. In April of 1996, He married Patty Nu-jung Tseng, an accountant and controller for Campton Place Hotel in Union Square, San Francisco. Together they opened Dr. Gardner’s solo private practice in November of 1997, one block from Marin General Hospital in Greenbrae. Dr. Gardner was at UCLA School of Medicine in the 1980’s when minimally-invasive cosmetic procedures were first being developed in the Department of Dermatology. As a medical student, and later as a research associate in dermatology, he studied skin surgery and hair transplant procedures under nationally renowned cosmetic surgeons Ronald Moy, MD and Richard Bennett, MD. Dr. Gardner holds multiple certifications in cosmetic laser surgery and rujuvenation techniques, as well as BOTOX™, Restylane®, Juvaderm®, Radiesse®, and Smartlipo™ procedures. He has trained under nationally and internationally acclaimed plastic and cosmetic surgeons Dr. Steven Dayan (Chicago), Dr. Peter Davis (Menlo Park), Dr. Christine Lee (Walnut Creek), Dr. Robert Keller (Monterey) and Dr. Howard Ellis (Kansas City). He teaches laser safety and surgical techniques as a consultant, and is a member of the American Academy of Cosmetic Surgeons and the American Society for Laser Medicine and Surgery. Dr. Gardner has performed over 3,000 cosmetic surgical excisions of skin cancers, and many more surgical procedures on benign lesions of the face and body. He has also performed over 1000 cosmetic laser procedures, and many thousands of BOTOX® and cosmetic filler injections. Dr. Gardner wrote “Overcoming Anxiety, Panic, and Depression, New Ways to Regain Your Confidence” (Career Press, N.Y., 2000) with Dr. Art Bell, Ph.D. In January of 2005, Dr. Gardner and Dr. Bell’s second book was published; “Phobias and How to Overcome Them; Understanding and Beating Your Fears.” In May of 2005, Dr. Gardner published his website www.anxietytoolbox.com. The downloadable, five-book program is presently only available on the Internet. He is presently working on a book for high school and college students on the subject of human emotions, and another intended for his patients on the importance of a spiritual frame of reference to happiness and healing. He is a university lecturer on depression, anxiety, phobias, and the grief response. He is a member of the staff of Marin General Hospital, and a member of the clinical faculty at Stanford University and UCSF Schools of Medicine, dividing his time between direct patient care, teaching, writing, music, gardening, and family responsibilities. Dr. Gardner and his wife live about a 3 miles from their clinic in the hills of San Rafael with their son, Jacob, and Yorkshire Terrier, Gizmo. Office visits are by appointment only. We are generally able to work-in acutely ill patients the same day. Please call our staff at 415-925-8888 if you need an urgent appointment.